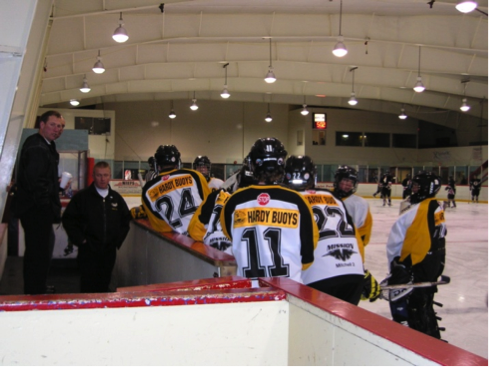 One of the most popular recreation facilities operated by the District of Port Hardy is the 450-seat Don Cruickshank Memorial Ice Arena, where a regulation ice surface is home to hockey players and recreational skaters from October to March. This facility offers a 85′ x 200′ ice surface with seating capacity for 450 people. There are also men’s and women’s hockey leagues, three North Island Eagles rep hockey teams, and numerous minor hockey house teams which utilize this facility. The Port Hardy arena also offers a warm room which is available to ice users for birthday parties or special events. Please call 250/949-6686 for a list of available ice time or to book a special event. Space is offered on a first-come, first-served basis.